Situated off the east coast of Africa, the Seychelles islands are a favourite location for recreational and professional sailors looking for holiday property for sale. However, it’s not always easy to accommodate a vessel when shopping for real estate. Each waterfront property on Eden Island comes with a mooring that will also be conveniently maintained when you’re not there. Each home comes with an Electrically Powered Vehicle (EPV) that has a one-year guarantee against factory defaults. For everything else that could go wrong with your vehicle, the VMA can organise for EPVs to be serviced, repaired and cleaned regularly (with all charges appearing on your levy statements). Homeowners can arrange to have their moorings (boardwalk, pontoon, bollard and even services supply equipment) cleaned, maintained and even insured by paying an initial once-off fee followed by a monthly charge added to their levies. All home appliances are accompanied with guarantees to cover any factory faults. Additionally, the VMA can be commissioned to arrange servicing should appliances need to be replaced or repaired. All private pools and gardens are kept in pristine condition by the island’s maintenance team, the costs of which are included in monthly levy payments. For housekeeping, the VMA strongly recommends Hibiscus Logistical Services, which offers a comprehensive cleaning, laundry and management solution to ensure that your home is superbly maintained, even once you’ve set sail. Buy Eden Island property and you’ll have peace of mind that your real estate is in good hands while you explore the Indian Ocean islands. Holiday property for sale from Eden Island offers convenient access to the excellent sailing conditions in the Seychelles islands. The well-equipped Eden Island Marina is located on the sheltered south-western shore and can cater for super yachts of up to 100m in length. This means you can enjoy the many sailing events while living in the lap of luxury. · Seychelles Regatta – This prestigious event has gone from strength to strength in terms of international coverage and drawing first-class professionals. The local Hyundai team has won two years in a row and is considered a favourite for the 2012 edition of the race. · Optimist Cup – Eden Island hosts this annual event for young sailors who belong to the Seychelles Sailing Academy. This usually takes place in September and began in 2008 when Eden Island donated 16 Optimist yachts to the students at the academy. · Indian Ocean Island Games – In 2011, the Indian Ocean Island Games were hosted in the Seychelles islands. This event involves athletes from islands in the southwest Indian Ocean and attracts up to 2 000 participants who join the throng of visitors to the archipelago. Eden Island was proud to host the sailing events for the games. 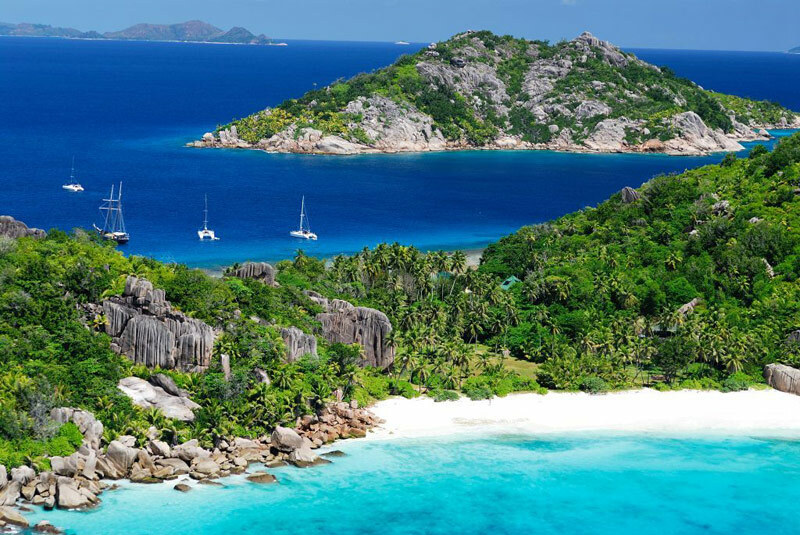 Own Eden Island property and explore the Seychelles islands whenever it suits you or participate in regattas and sailing events all year round.